"It's time to play the music, it's time to light the lights, it's time to meet the Muppets on The Muppet Show tonight". 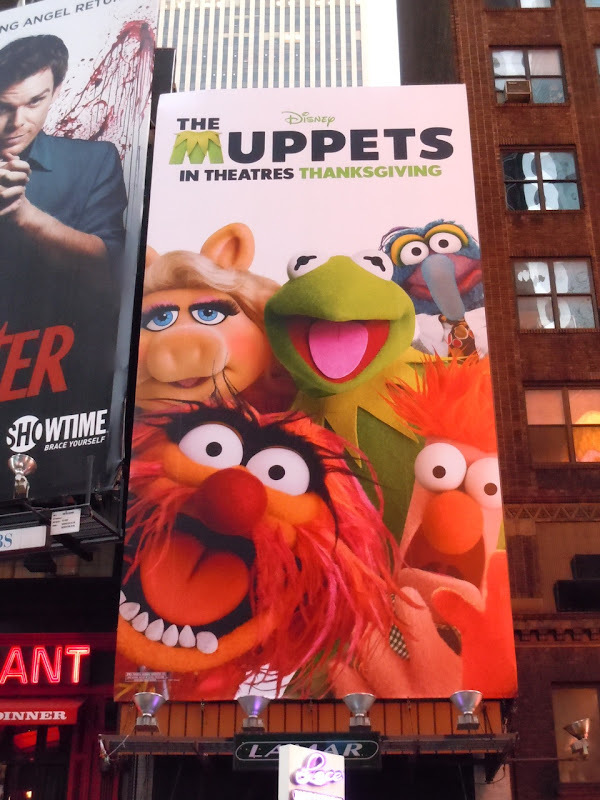 That's how the lovable puppets used to be introduced in the 70's and 80's, but are people ready for what Disney has in store for 'Kermit' and the gang in the new movie, The Muppets. 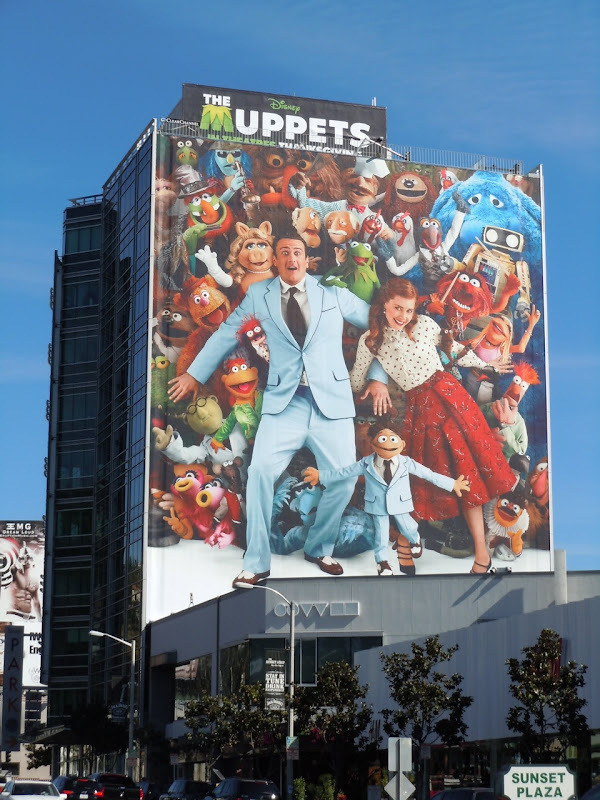 Judging by these fantastic billboards the new movie, with Jason Segel and Amy Adams, will be crammed with Muppet goodness, as 'Miss Piggy', 'Animal', 'Beaker' and 'Gonzo' and the rest of the colourful felt troupe must reunite and try to stop a greedy oil tycoon from tearing down their old Muppet theatre. 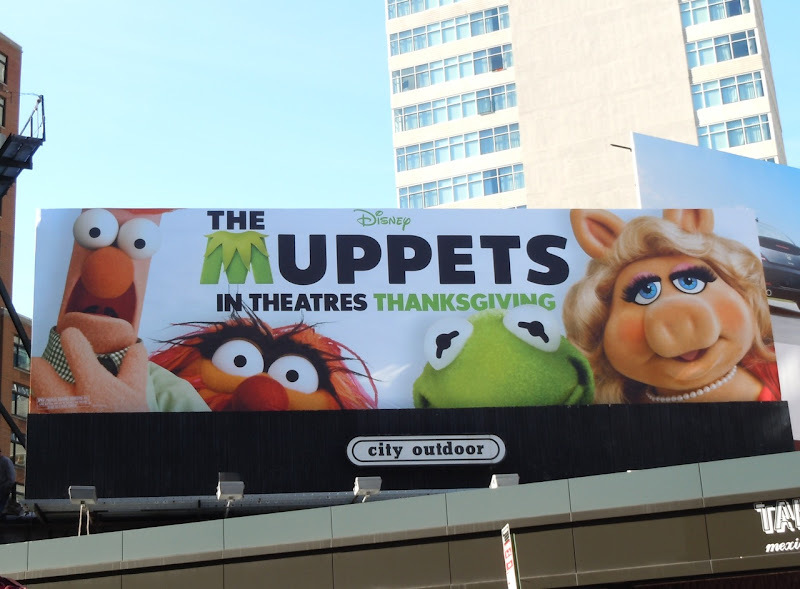 Daily Billboard almost jumped with joy upon seeing this fun, super-sized billboard along Sunset Plaza in L.A. and hopes that a healthy dose of nostalgia will get parents taking their children to see the film so that a new generation can experience the genius of the Muppets (and that the movie doesn't disappoint). 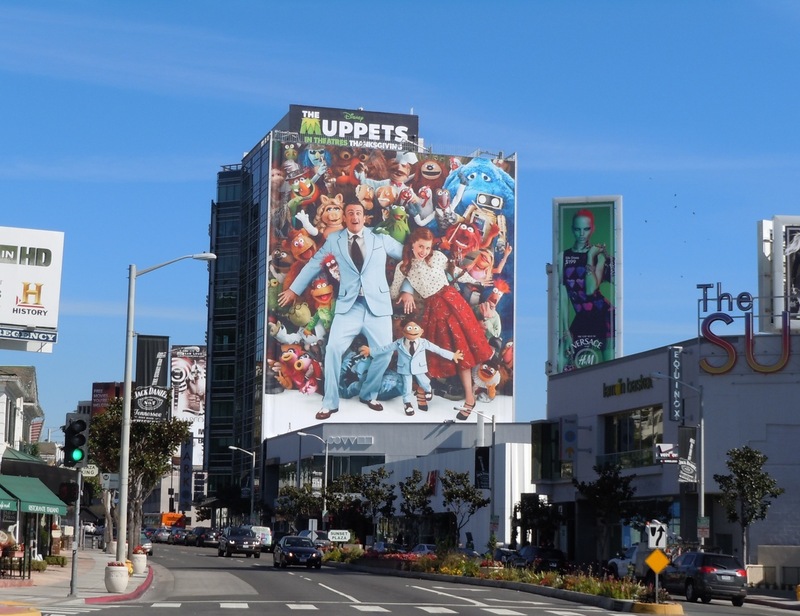 This giant, vibrant billboard bursting with Muppet characters was snapped along Sunset Plaza on November 9. 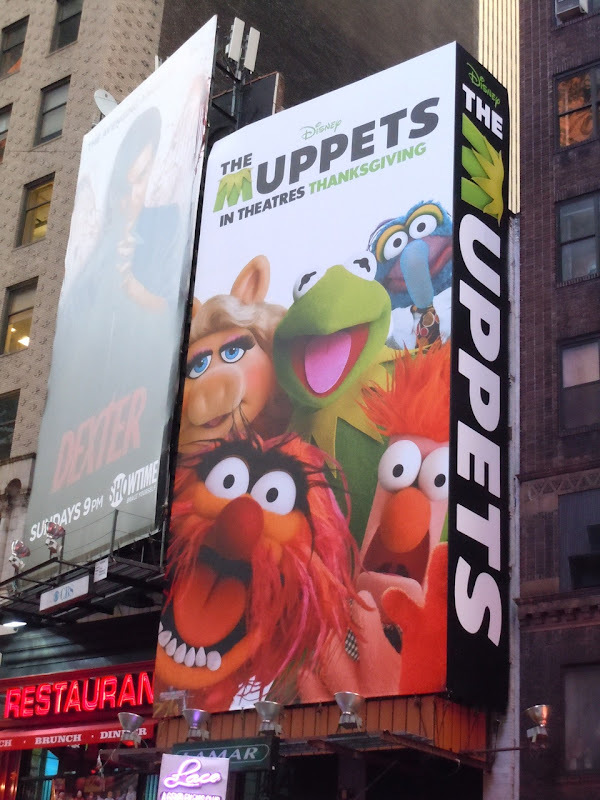 The other billboards for The Muppets, including this portrait version along 7th Avenue at West 48th Street, and the landscape version down in Soho, were snapped in New York on November 5, 2011. 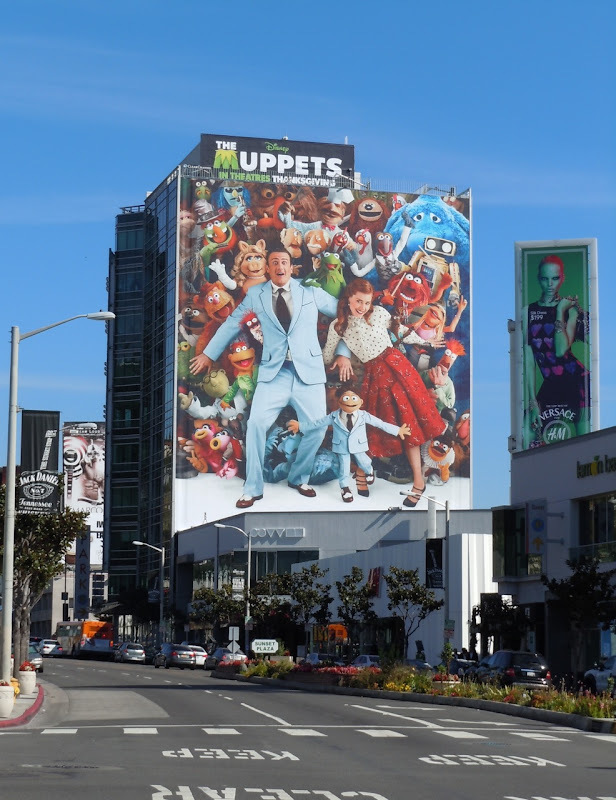 If you're a fan of the movie, be sure to check out these original costumes worn by Amy Adams and Jason Segel in The Muppets, plus actual props used in the film on display too.